NEW YORK, NY –They say that actions speak louder than words. This holds true with Microsoft’s Bing.com search engine, the second most popular search engine service, which has implemented an interesting change new gTLD lovers may be pleased about; they’ve removed the right-of-the-dot extension in search results for all .com domain names. So what is the subconscious message here? Performing a search on the BING.com search engine this morning, here, New York Eastern Time shows a listings URL without any ending extension if the domain is a .com. This is pretty interesting because it is suggesting that Bing would prefer users not see the ending URL of the .coms, which personally, I think is an awful idea. They have not done this in paid search ads, only algorithmic results. I feel this only adds more confusion to search results. 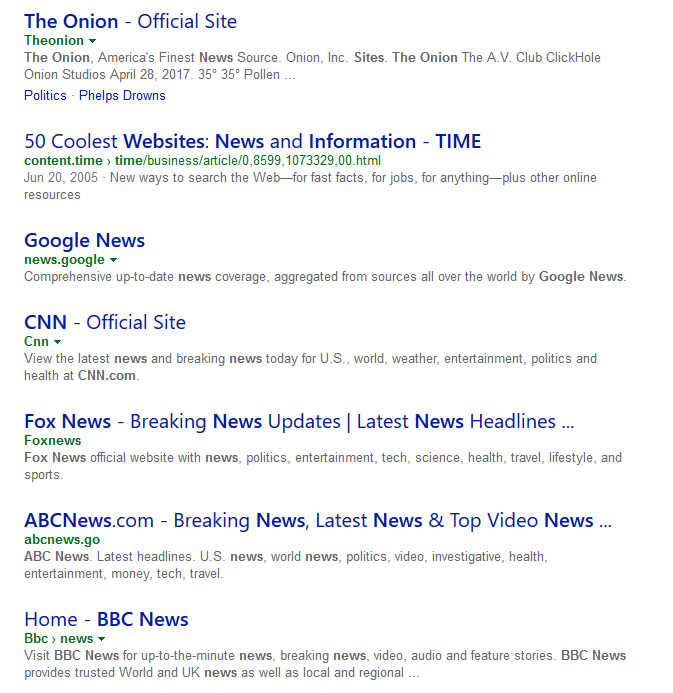 For instance, news.google looks like it might be Google’s new .google URL. Other extensions such as .edu, .net and others remain. So what is Bing telling us subconsciously? The .com goes without saying? Start focusing on dots that are not .com? Pay more attention to the new dots and forget about the old? Stop thinking about .com? As a .com owner and operator this is frustrating. Please show my address if you are going to show others. Makes no sense to only hide .com domains. I wrote some time ago that technology would instinctively result a .com preference. Say or think a command, and the result would be the .com since it is the preferred extension of trust, and most often results in bringing the visitor to the desired destination. Or any other well known brand and it will result in a no-brainer. The only reason to find another extension is either to call it out or type it. If you have an apple iPhone, say a voice command to Siri “Nashville.com” and it will automatically bring up a browser with the website. Now try the same thing with any other new extension like Nashville.club. The new gTLDs aren’t understood. .com is where almost all of the major brands and preferred destinations are nested. Everything else is an afterthought and I believe Bing is making that first step into search. Michael, this is an extremely relevant and important point. 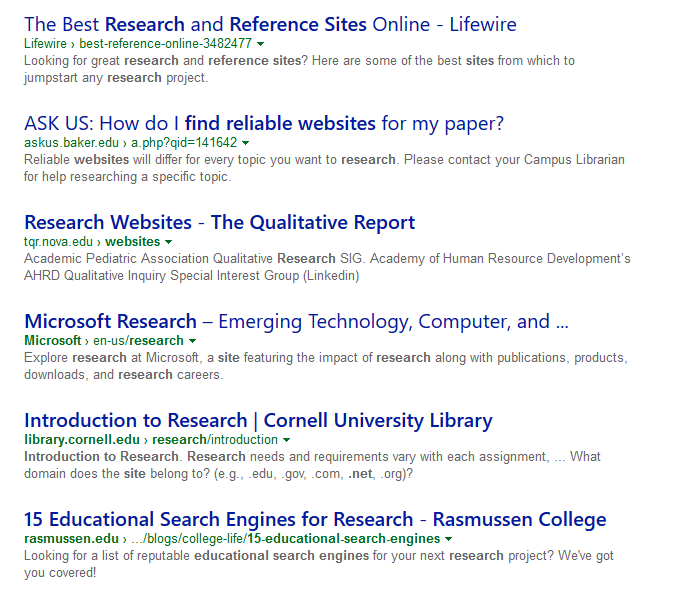 What Bing did there was to standardize the COM extension. Your comment ignores every country in the world except the USA. Agree. ccTLDs dominate in other countries for the time being. But there is no other global standard than .com. When I do searches I don’t see any of that. It could be that they are testing it out. Google has been doing the same thing for some searches for awhile now. Problem is if a user is looking to visit a specific location (URL) they will keep searching till they find it and not just rely on googles initial search results. Google biggest threat is direct navigation and great domain names. Search engines are doing what they can to eliminate the threat but in the end no matter how big and powerful they won’t be able to change where the future is heading. Google seen the threat to it’s ad business and that’s why I believe they separated their businesses to lessen their companies risk. Correct. Direct navigation is Google’s Achilles heel. More and more generics are being bought and used in national and international branding. Removing the full URL is a definite mistake. The result will be consumer confusion. And increasingly more so as new gtld’s get indexed alongside existing .com’s. It don’t think it makes .com less relevant, the omission makes it the authority and doesn’t confuse the brand. All the other extensions drive traffic to a .com. People forget the other extensions when going to a site, they naturally go to the .com even when you tell them it’s something else. And email, anything that isn’t com, net or org, is in the spam folder. These registries have made some progress influencing domainers and businesses to buy but, even with O.co’s return to Overstock.com and the .mobi hype, truth is in the numbers, and these new gtld’s are wishful thinking by a few. We as the technically inclined understand it’s just an extension, but the average consumer doesn’t spend a whole lot of time thinking about internet tech, they’re focused on their industry and this is a confusing mess to them. You can spend your money trying to educate the consumer or use it wisely to build your brand with a .com. 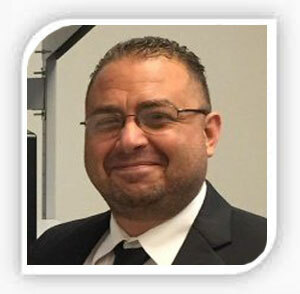 The larger issue is that many businesses cannot obtain an appropriate dotcom because the most fitting choice(s) are already in use by other companies, thus the need for alternatives. If they can’t afford the .com then I can be safe to assume they are not a global company. local cctlds is the obvious and best alternative. Look at it in the perspective of an end user and not as a domainer. Emds were punished by Google because they were too powerful. Many thin sites with emds received higher CTR than others with better content. Google could not control CTR, it was up to the users discretion which listing they clicked on. And CTR is a bit factor so they decide best not to give the users the option to click on them or at least make it difficult for them to be seen as they may get users clicking and up in rank they go. Doesn’t take a genius to see that the divide between a good and bad domain name is even much wider offline. Navigation is about getting to a destination. Imagine your using your GPS to go somewhere and it keeps diverting you elsewhere. What will you do? Get a new GPS ?